CONFIRMED! Delta will NO LONGER display award charts for award tickets! #KeepDescending move of the year! Let me ask you a question. Do you ever price compare? I mean would you like to know if you are getting a good price for something you are about to buy? 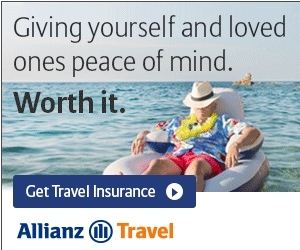 Well you can no longer do that with Skymiles. They are just whatever Delta says they are – PERIOD! Does not take you to the “all-new Award calendar” that you can see from my post HERE. No, as you can see from the hyper-link it takes you to the Delta award booking page. Why? “Sufficient miles within your SkyMiles account are required to redeem miles toward Award Travel. To shop for Award Travel on delta.com select ‘Book SkyMiles Award Ticket’ when initiating your flight search. Once you’ve selected your itinerary and logged into your SkyMiles account, you’ll be asked to pay for the flights you selected. So all we know now is that awards start at 25,000 Skymiles. The rest – that is Level 1, 2, 3, 4 or 5 or whatever new level they dream up is just up to them. Delta does not respect you enough to tell you what it should cost for an award ticket anywhere in the world. They do not want you to understand that you are very possibly overpaying for those valuable Skymiles – just trust what Delta.com’s new award calendar shows is the lowest price at the given time. And if prices go down, you will not know if that is the lowest price for a ticket as prices are whatever they want. The level of arrogance, disrespect and disdain this shows to loyal flyers and those who value and collect Skymiles is beyond compare. Delta can do anything they want with their frequent flyer program and they are showing just that today! EDIT: Backups of all the charts are now loaded on the blog HERE! That is cheesy and disrespectful. How do I set a goal now of achieving enough miles for a round trip first class ticket to someplace? I’m supposed to try and buy it first? Then bail out of the purchase process? Then pray that today’s price, learned the hard way, will still be valid in a few months when I’ve accumulated the miles? I have about 50K miles to go to reach 2MM miles, then I’m status matching on AA and dropping these thieves. First, René please post the award chart before this occurred! I am in the middle of a trip or I would send one to you. This is the LAST FRICKING STRAW! I know we Delta Loyalists MUST do something! Someone in the white tower is drinking their own Kool-Aid! They have ZERO respect for us! I feel totally betrayed… and if course there is no transparency in this relationship with DELTA Airlines! MSP dinner is going to be a lively discussion! @ Kyle — What great input! And original, too! Rene nobody will ever accuse you as being in the pocket of Delta. For sure. I have never seen so many changes to a program. They are working non stop. With each move I see you getting more angry! I think Nick is right. It’s pretty obvious that they are turning 1 SkyMile into .01 cent. Jump ship and enjoy the AA or Alaskan program for as long as you can — before they change theirs too! This is a blatant attempt to cover up the lie they propagated of more low level award seats in SkyMiles 2015. With no award charts available to compare what a low level award is, most people will not realize they have been lied to and cheated. Delta is a joke. There’s a reason their currency is called skypesos. How about going to a restaurant and ordering dinner without a menu. Would you wait for the check to find out how much dinner was? Rene, you do a great job posting the dirt which makes me glad that I’m with an airline that actually understands loyalty. No offense guys… buy why do you keep flying Delta? Why do you keep earning miles with them? Is it because they are the lesser evil of the Big 3? They have been doing this crap since their merger with NW, and continue to report record profit. I know there are not much options out there…. But the numbers don’t lie… they are making tons of $$$$ and they can do whatever they want. I hate it… but it’s true. About to leave for a work trip to HKG on AMERICAN AIRLINES…. Definitely not regretting that decision! So what really amazes me about this is it didn’t even occur to me that Delta would do this as part of their #KeepDescending campaign! SERIOUSLY Renee and his readers are a pretty savvy bunch and I don’t think any of us would have guessed that Delta would think this would be an acceptable thing to do…. It is clear that when it comes to its customers who have amassed SkyMiles Delta is all about the Jump In A Lake! The guy who posted right before me, said it all, his post appears below. Why even have a blog dedicated toward these folks, they are totally disrespectful…Rene, I enjoy your writing, why not move to another airline and make your contributions there. Delta doesn’t deserve you; they view us, the traveling public as a commodity, and they are making a mint off us. Delta just happens to be the worse and this is a total slap. So glad I burned all of my pesos in the past. This is pretty bad even for Delta. But playing devils advocate here, does it really matter what the award chart says? When it comes down to it they don’t guarantee a certain number of seats in any bucket. You’re going to have to pay whatever Delta.com or the phone agent quotes you anyway. With the 5 week view, you can get a sense of the available options pretty quick. I think that this is absolutely disrespectful on the part of Delta to its loyal customers, but in practicality of booking awards what does it really change? I’m glad I just “spent” my last 250K miles on this airline. It’s simple – the FF program of Delta is worthless!! Those of us that care about FF miles are a small subset of any airline’s customers. The occasional traveller has a FF account, but is easily dissuaded from cashing in his miles. Delta doesn’t like us, and this change will be a net increase to the bottom line. Few will leave Delta (c’mon Rene’! ), and fewer will be able to arrange for good redemptions. Delta is doing well enough for the moment that they don’t need welfare from Amex, so everyone is junk. Amex might have had the sway to fight this in the past if it hurt applications & spending on their cards, but not today. Not anymore. Amex and Delta are like an old married couple that hate each other, where one justs wants things to be like they were in the good times, and the other hopes to kill the first slowly through spite and misery. Delta is now applying a US medical insuance pricing model. Any idea what’s going on with the VA awards to/from Australia? I’ve been checking for over a month and always find 2 Biz seats AKL-LAX for 80K. Today none! Only Biz AKL-SYD then economy SYD-LAX for 80K. I will bet that if you search for a trip and see the miles required but decide to wait and when you search again it will require much higher miles for the second search! I have noticed this happening on searches using either cash or miles for a while now. I would get around it by using a different computer but now they will track the request to your account. These continual actions make it exponentially more disgusting to have to listen to Anderson every time the safety video shows. They simply don’t want any transparency . First they pulled fare info and bucket info from outside channels and now this. Next will be pulling the ability to actually find fares and book them elsewhere. Rene – How long before you decide to become AAPoints or United Points?? I would love to see it!! This is the death blow to the Skymiles program.. I am done with Delta as of today.. I have to admit that I’ve talked some smack about so many of the really-bad-for-customers changes that Delta has been implementing, but this just blows me away. Wow. Just wow. Probably unpopular comment coming here. For me Delta got way more useable for me, I much prefer one way award capability, it’s much more flexible for most surely to be able to mix and match airlines on a round trip or for round the world or open jaws etc. just me as I said. 80k biz on a great product non stop VA to Australia with great almost daily availability (for now) is awesome (for me) and many other sweet spots I believe. Obviously it doesn’t have as many great reward options as Aadvantage or even Mileage plus I guess. When airlines lose money like its going out of style to transport you in relative speed and comfort in massive state of the art $200 million jets, you don’t care or feel for them I’m guessing. It’s a boom to bust cycle and when it’s time to make money, they want to do it as best as they can and part of that is not giving away seats to freeloaders (myself included!) If it is such a huge part of your life, because you live in Atalnta perhaps, maybe move, maybe diversify into another program or another blog topic? I truly find it amazing. I just burned through some of my last skymiles for a one way award to New Zealand and I’ll be coming back on an AAdvantage award most likely. Part of me feels like Richard Anderson is conducting a social experiment to see how crappy he can treat his loyal customers before they finally bail. I already bailed. If anyone wants my last 7400 Skypesos, I’m willing to part with them in exchange for 1000 miles/points from virtually any other loyalty program because Delta isn’t worth squat to me anymore. I am a gold member of an airline that actually rewards loyalty and I read these DL blogs because they amuse me. Why do they amuse me? DL is a master of the stick and the carrot. No matter how fast the horse runs, it never gets the carrot. Here’s the carrot. When DL decimated skymiles they said they would release MORE lower level seats. So, you blow up the award chart, secretly raise the redemption levels and create a new lower award. People, don’t be like the horse chasing the carrot. Vote with your wallets. Good grief! In the words of Chester A. Riley: What a revolting development this turned out to be. Delta’s blatant disrespect of its customers is appalling. Any boiled frog who sticks with delta is just asking for more. After sleeping on this, I think this could turn out to be a watershed moment in the history of SkyMiles. One of those things that causes a real turn. Only time will tell. @Marshall Jackson – You are a wise man. I HIGHLY respect your insight and thoughts. I agree. This is a game changer. Rene, I am not loyalty based and typically avoid Delta, but I enjoy your blog. Seems like the majority or your posts have been negative lately, because you (like most) find the changes to be negative. You’ve obviously got a lot invested in staying with Delta, expertise, miles, etc. Is there ANY line in the sand that Delta could cross that would make you look for another primary program? I have to say this news is extremely disappointing but with all the changes lately it’s not totally unexpected. I was always waiting for the other penny to drop with Delta. I think it has. On December 20th I decided to hedge my bets and go for the US Airways challenge. I am glad I did. Someone said it earlier, the only way to cause an about turn is to vote with your wallet. I have cancelled a planned Delta trip which will now be on AA. Even though AA is slightly more expensive I will be closer to my challenge goal and no money will be going to the big D. Thanks for all the Delta related news Rene. I will keep tabs but it will be less relevant for me in the future. In a way it’s good Delta made this change early in the program year. Make your choices folks, jump ship or endure death by a thousand cuts or one major one. Rene, What is your advice? Should DM and PM book tickets and use their miles asap given we can redeposit? That sounds like a prudent move. Game changer for me. Adios, Delta! I went to book a flight from CLT-SLC last night and was blown away – 62K skypesos for a trip that was 25K 4 years ago and 32.5K 3 years ago! How can we find the “saver” rate? Has anyone found any? Do they even exist? This is a rip off. I think Delta wants everyone to use their sky miles before they go away completely. I am trying to stay loyal however Delta is making it harder and harder. I will begin my research on what airline I wil switch to. Diamond level, and I have to say I though it was nearly impossible to find a rewards seat in the past that was tolerable, let alone two, and now they add this miserable hurdle to the task. They truly are testing the limits of their most loyal members. I am sure it will take and take until their is a loss of loyalty members that hits the bottom line. Another scary factor are these are the moves they make during the “good times”. The extra fee for club guests is also on my list of bad moves. Reminds me of the path Blockbuster took on their way down with fines, late fees etc. You know how that story ended ugly for them but I understand this is more of monopoly model based on your base city. I think what is happening is commonly referred to as “price optimization”. It used to be called maximizing profits except that now PO is achieved using very sophisticated computer modeling I.e. Algorithmically based modeling in setting prices. They don’t show the calendar because the price will be different for every one. If you and I had the same identical FF profile we would still get different pricing on the same flight on the same day. This will allow Delta to take in as many miles as possible. We see this with Amazon, cable tv and other products. This is good for Delta but there is a very real danger that if your modeling is incorrect you will begin to see huge disintermediation as is now rapidly occurring in the cable tv industry and the cell phone industry. This seems like much ado about nothing. There is no chart for fares in dollars, so why is everyone whining that there won’t be one for miles? The only way to book an award is to search for it anyway or call Delta and this doesn’t change that. Plus, the charts were generally meaningless when there 3 or 5 levels, as there was usually almost no rhyme or reason as to when the different levels were available. Thanks, Rene, for a great website. Your passion is infectious. From you I learned to appreciate Delta more, and I learned when to jump ship. I’m in Hong Kong right now working on my US Airways status challenge. Keep up the good work. Delta doesn’t deserve you. Good news for car dealers………They just moved up from the bottom of my list of respected business organizations. Had to make room for DELTA at the BOTTOM! Thankfully I just got a status match from AS to MVP Gold, so I can now comfortably say adios to Delta and their race to the bottom. I’m taking me and my $20k+ annual spend to an airline that seems interested in being loyal to me and my family. @Steve – Simple, there is no competition. Look at NAI for an example and how Unions and others are fighting them as they are much cheaper than Delta. Hi Rene. I totally agree with you. BTW, you do a great job with your blog, I wish you would do the same for other airlines. Delta is racing to the bottom of airline satisfaction faster than the Titanic sunk. Thank God that I am a gold member of an airline that actually values loyalty. Somewhere along the way, the word “loyalty” disappeared from the Delta dictionary. How much money does Delta need to make? I know where my airlines’ award chart is, they don’t keep it a secret. @Steve – Thank you and well done btw! This move by Delta is completely outrageous and as you mentioned, an insult! And what is that total nonsense by Delta spokeman Anthony Black “…the overwhelming majority doesn’t look at the charts.” ? I call BS! Delta is pushing their AmEx Skymiles card very hard – I just flew Delta last week and on all 4 legs the flight attendants made announcements touting “earn miles and fly free with us”. Walking up and down the aisles carrying applications. Now this?!?! Unless Delta changes their mind about notifying the public of points required to obtain an award ticket then I am going to CANCEL THE DELTA AMERICAN EXPRESS! I will not be Delta’s rube any longer. Way to go, Delta! First, with your “New” (give less to your fliers) SkyMiles Program rules, and now second, removal of the easy way to determine miles needed for awards flights, you’re making it virtually impossible to for me to keep you as my favored airline. THAT MEANS I’LL ALSO STOP USING YOUR AMEX CO-BRANDED CREDIT CARD! Ready to do without the additional income from my hi-level annual purchasing? To hear that flight attendants are passing out Amex cards like candy promising “two free round trips” absolutely nauseates me! How unethical! The cheapest trip I found recently was 62,000 sky pesos.